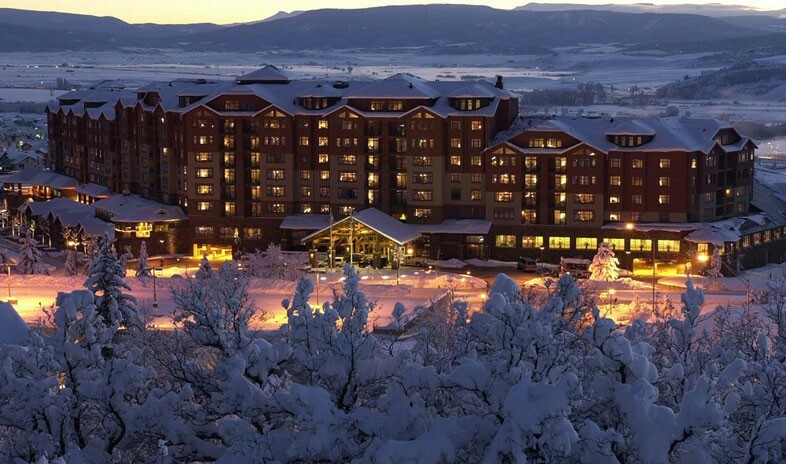 Located at the foot of Colorado's world-famous Steamboat ski resort, in Steamboat Springs, Colorado, The Steamboat Grand lives up to its name when it comes to an incentive and event destination. The four-season retreat keeps meetings moving with 17,000 square feet of function space indoors as well as 10,000 dedicated square feet outside. And top-tier audiovisual amenities include teleconferencing capabilities. The hotel's 328 accommodations range from guest rooms to condominiums to five-bedroom residences with Berber carpets, fireplaces, slate and hardwood flooring, and full kitchens. All rooms feature flat-screen televisions and complimentary Internet. Several dining venues offer everything from buffalo and elk to vegan, vegetarian, and gluten-free fare. And after skiing or horseback riding, many guests glide in to the spa or saddle up to a drink at Chaps mountain bar.